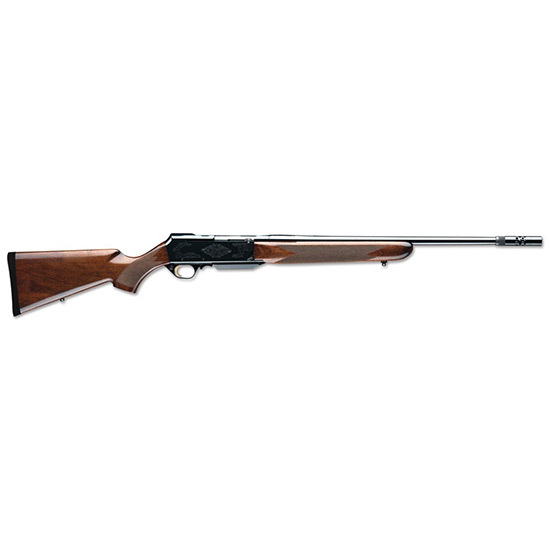 Browning 031001326 BAR Safari with BOSS Semi-Automatic 30-06 Springfield 22 4+1 Turkish Walnut Stock Blued in. Brownings Safari rifle is available with a blued onepiece steel receiver with scroll engraving along with a select walnut stock and forearm. The reliable gas operated action reduces recoil and quickly cycles every round. All models feature a detachable box magazine and factory installed sling swivel studs. This model comes with Brownings BOSS system. The Ballistic Optimizing Shooting System BOSS is a patented advancement in rifle accuracy and allows you to control the vibrations of your barrel for increased grouping accuracy.